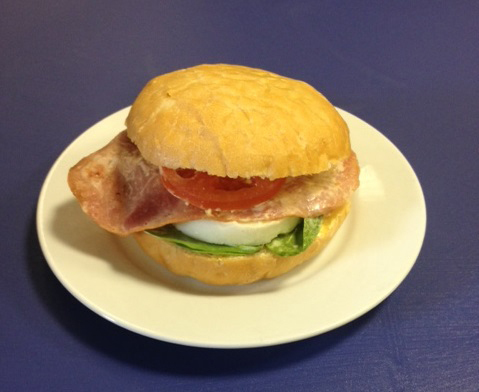 Prima Deli - Choose from our Menu or work with us to create your own range. You can find our products at many service stations, supermarkets and selected cafes around NZ. If you are a retailer interested in stocking our product, please contact us for delivery information, pricing and order forms. Choose from our Menu or work with us to create your own range. Choose from our menu or work with us to create your own range. Clubs: New York, Roast Beef Ploughman, Caesar Chicken Bacon, Bacon Egg Cheese, Ham & Egg, English Pickle Cheese & Salad, Corned Beef Cheese ChowChow, Chicken Coconut Curry, Triple Ham, Sesame Chicken, Chicken Apricot Almond, Chicken Ranch & Salad, Creamy Sundried Tomato Cheese Salad, Cheese & Onion Salad, Ham with summer Salad. 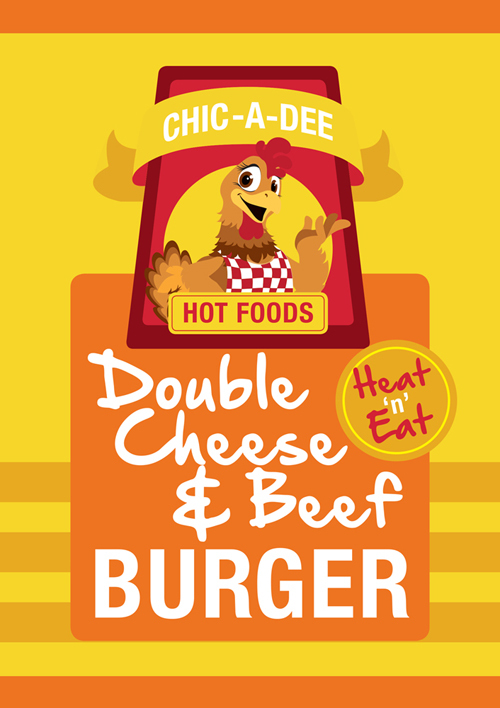 Regular: Ham & Mustard, Corned Beef Chow Chow, Lettuce Tomato & Cheese, Egg & Chive, Cheese & Onion, Spinach & Egg, Ham Mustard Pickle & Cheese. Classic: Chicken Herb & Mayo, Chicken Apricot & Cream Cheese, Bacon & Egg, Ham Tomato Lettuce & Cheese, Ham Dagwood, Roast Beef Truckers, Ham Egg & Mayo, Vege Dagwood. 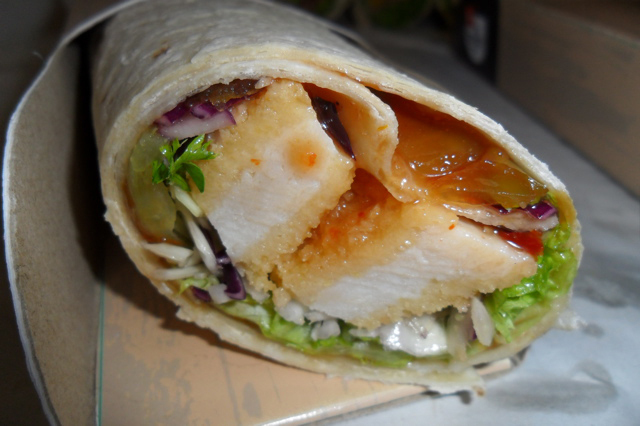 Select: Chicken Brie & Cranberry, Chicken Caribbean Bacon, Chicken Schnitzel, BLT. Handcrafted breads: Chicken Cheese & Salad Ciabatta, Ham Ciabatta, Ham & Cheese Croissant, Cheese & Tomato Croissant. 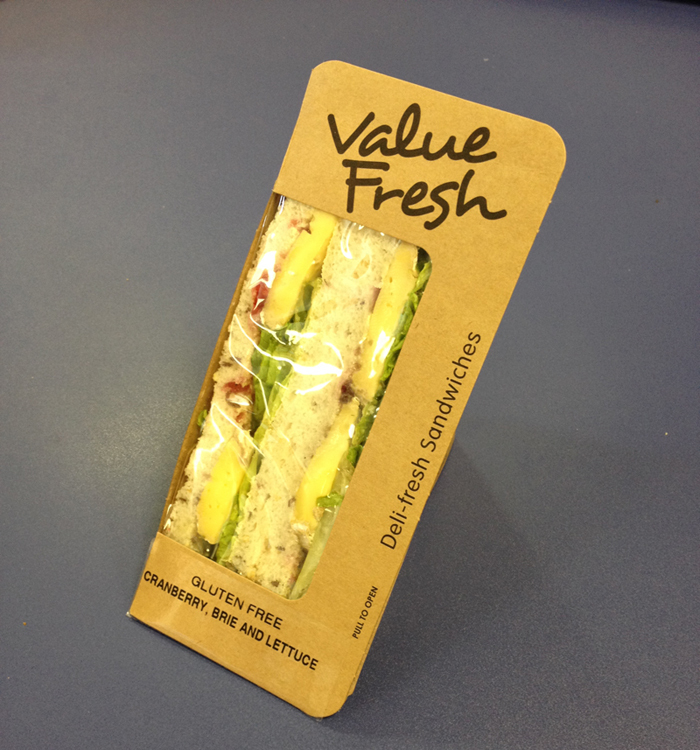 Gluten Free: Brie Cranberry & Lettuce, Chicken & Lettuce, Ham Lettuce Tomato & Cheese, Chicken Brie Cranberry, Egg & Chive. 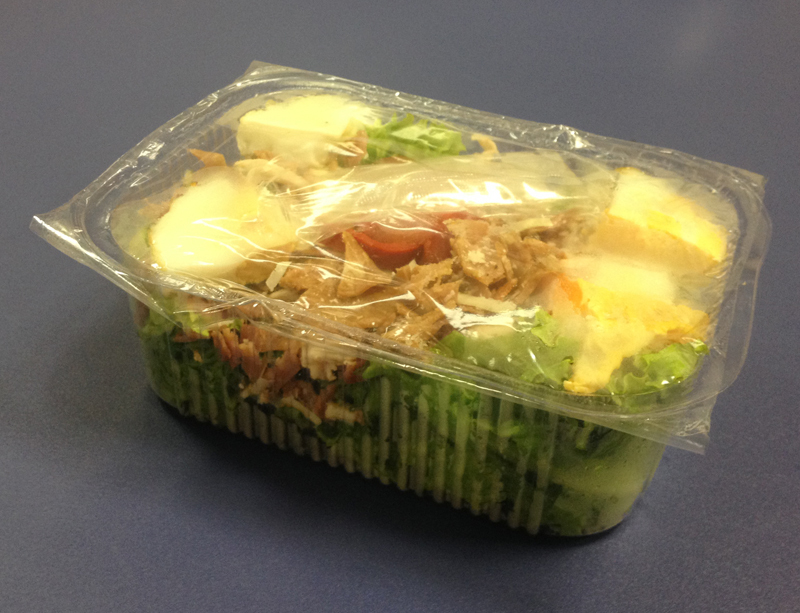 Cold: Chicken & Bacon, Ham Egg & Salad, Roast Beef Salad, Chicken & Cheese Salad, Vegetarian. Available in a plain white roll, or a wholemeal grainy roll. Hot Subs: Chicken Tender BBQ, Double Bacon & Egg. Hot Rolls: Roast Chicken, Hot Dog. 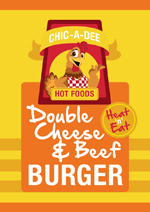 Burgers: Bacon Burger, Chicken Burger, Double Cheese & Beef Burger. Toasted Sandwiches: Chicken & Bacon, Ham Cheese & Pineapple, Giant. In the Prima Deli hot options range, Toasties are also available and are particularly good in the winter months. Choose from our Menu or work with us to create your own range. 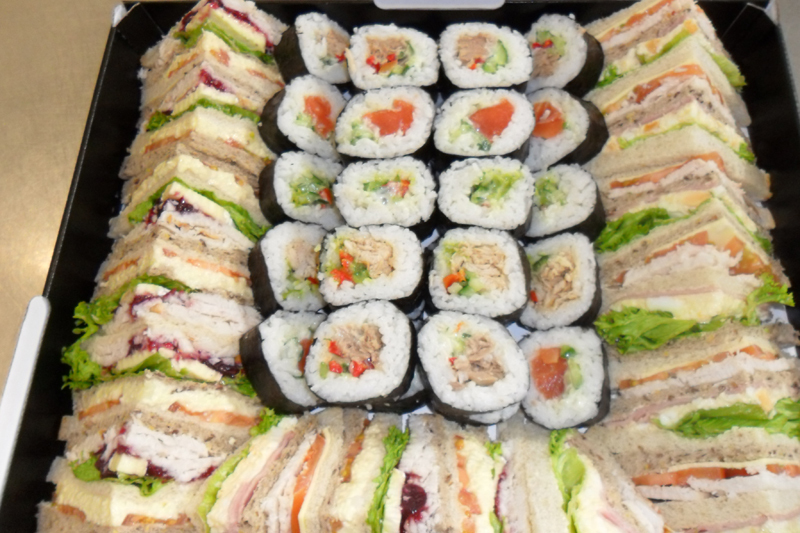 Whether you want catering trays, whole rolls, six or four piece packs, we can cater for you. 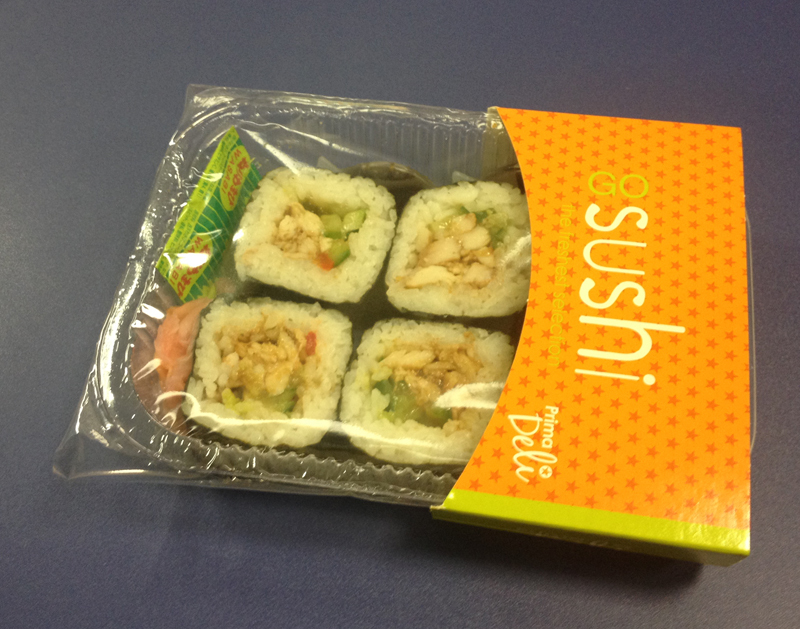 Available flavours: Teriyaki Chicken, Salmon, Mixed Chicken/Salmon, Tuna, Vegetarian. Choose from our Menu or work with us to create your own range. We keep all the old favourites year round and add flavours throughout the year to cater for seasonal changes in taste. Flavours from our menu include Chicken Capsicum & Pasta, Potato Pumpkin & Bacon, Chicken Kumara, Potato & Bacon, Chicken Caesar Supreme, Penne Pasta Chicken Bacon, Israeli Couscous with Roasted Vege, Vietnamese Chicken Noodle. 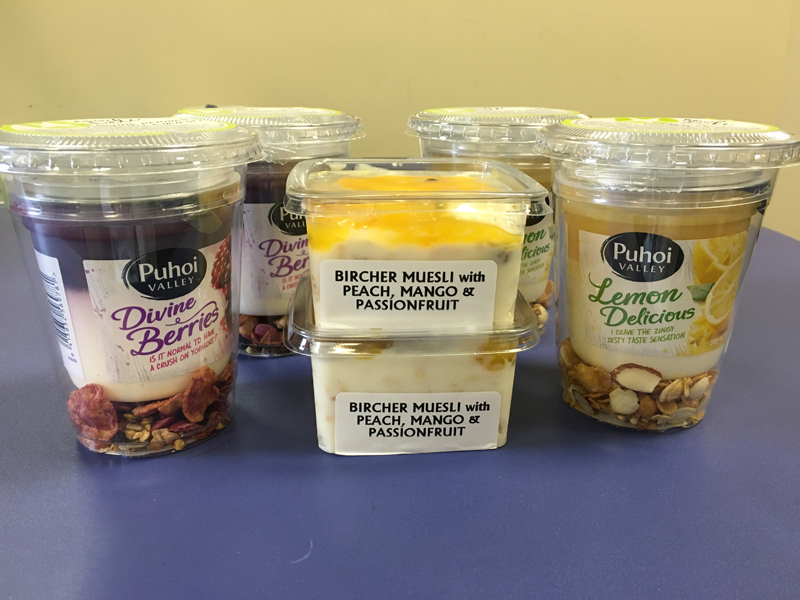 Gluten Free Yoghurt Muesli Berry. Let Prima Deli cater your next lunch, event or party with a delicious platter or tray of fresh sandwiches, sushi, or choose from our catering menu. Please note we do not operate a retail shop, so please contact us well in advance to discuss your requirements, a minimum of 3 weekdays notice is preferred. Feel free to download our account application. Please contact us for available delivery days to your area and further info.